An existing single family residence is renovated and expanded throughout for contemporary living. The site is conceived of as a pervious surface from which drought tolerant and low water planting of ornamental grasses and aloes emerge through to create a seamless experience with the context. Wood decks hover over the site furthering the perception of an expanded space. 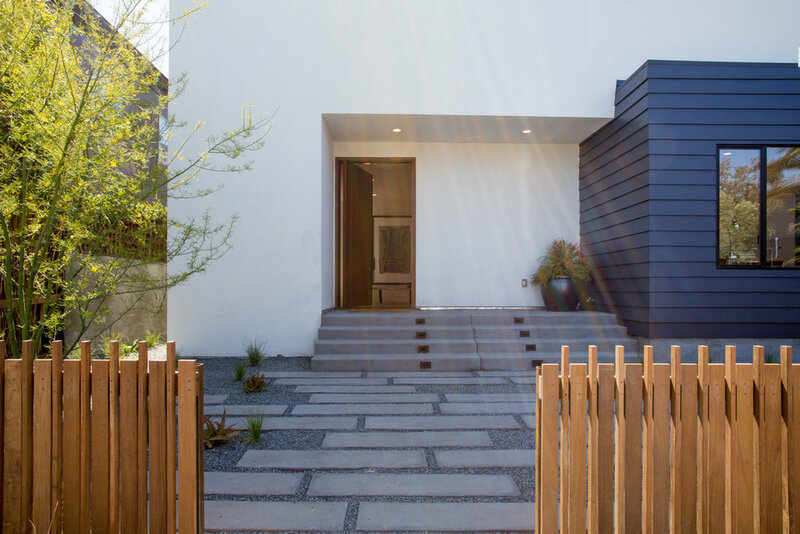 A porous wood fence creates a sense of enclosure while being open to the life of the neighborhood.